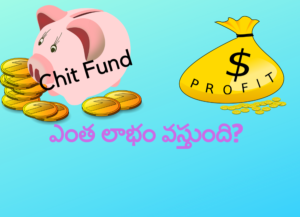 People from Andhra Pradesh and Telangana cannot resist themselves from Chit Fund Investment. 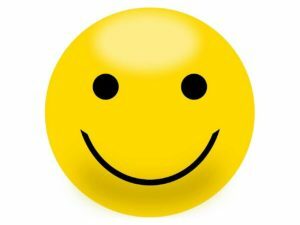 Here, in this article, I tried to explain the profit percentage that you will get. Chit funds are native(Local) financial institutions in India. The system caters to financial needs by combining processes of credit and saving in one scheme. The chit funds are Indian equivalent to Rotating Savings and Credit Associations (ROSCA). Commonly called as “Save and Borrow” schemes in India. I have seen people investing in a chit to clear existing loan, to buy a home and even for child marriage. Some People invest in making the profit out of this chit fund investment and for their shopping needs. How The Chit Fund will work? Group of People will form these Chit Funds(Financial Schemes). These people will decide and plan the usage of the funds. “No one stands to lose and all stands for gain” is the slogan in Chit Fund. Chit fund act came into existence in 1982 as an enactment of the government of India. Different chit funds operate in different ways. Thee are some Fraud Chit fund Companies cheating the public. Foreman is the person responsible for collecting the money from all the subscribers, presiding the auctions and keeping a record of all subscribers. Rishabh Chit Group has been under intense media scrutiny in the last few days. The collapse of its public investment schemes, run under the façade of a collective investment scheme (CIS), which is regulated under the Securities and Exchange Board of India, caused severe losses to many people. There are various such financial schemes such as chit funds, multi-level marketing schemes Ponzi schemes which are all different from one another and their aim cheating public. In simple terms, a chit fund is an arrangement that a group of people arrives at to contribute money in a defined manner at periodic intervals into a pool or a kitty. During the process of collection, any member can draw a lump sum through various ways like a lucky draw, an auction or a member can even fix a payout date based on a known expenditure. All members of the chit have to contribute to the fund same number of installments. So that every one gets the opportunity to bid. For example, if a group of say 15 people pays Rs.2,000 each a month, the total monthly pool becomes Rs.30,000. If three members need money at the time of the auction. Bidding will be conducted and lowest bidder will get the deal. So if three people put in their bids (the bid amount is usually slightly lower than the total pool amount) and the lowest bid is Rs.25,000, then the bidder will get Rs.25000 immediately; the remaining amount gets divided among the remaining members at the end of the tenor. These schemes are very popular in tier II and III towns in India and even in rural India, thanks to under-penetration of banking services, as they are a way of raising quick money or catering for sudden liquidity needs or even a planned expenditure. Numerous organized groups are doing this chit fund business. These groups are governed by kingdom or valuable laws, and there’s a crucial Chit budget Act of 1982, other than a number of state chit fund Acts. There is an office of “registrar of chit funds” in every state that monitors operations which are quite stringent. Chit Fund company can not utilize Subscribers money as they wish. While there are many companies, too, that have defrauded people, but there are genuine companies as well that cater to cash requirements of members locally. The first step of regulation, therefore, comes at the state level; hence it’s the state government which is responsible for any fraudulent activities by chit fund companies. The issue arises because there is no entry barrier to start operations. While a simple form of chit fund operates to fund the needs of members, it can get complicated when it enters the realm of things like getting members to fund real estate projects and so on. The bad experiences have left individuals in some areas of India more vigilant. Organized or otherwise, this is not an investment plan to consider, rather it is a way of funding your big spending by ensuring you get a large amount on a certain date. How much profit Percentage you will get from Chit Fund? Apart from chit fund investment, we have other saving options like Bank Rd, Post Rd, and Liquid Fund investment. But most people are willing to opt of chit fund saving only. These people think that they will get more profit percentage in chit fund than other saving options mentioned above. I have done some research about profit percentage and made a youtube video on my channel.